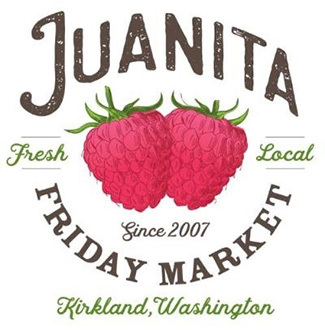 "Friday Night Market at Juanita Beach" has a new name, it is now "Juanita Friday Market". Located at the Juanita Beach Park, a visit to Juanita Friday Market is a wonderful way to start your weekend! The market hosts 35+ vendors selling: fresh organic fruits & vegetables, beautiful flowers, bedding plants & herbs, honey products, dry dip mixes, chutneys, kettle corn, taffy, cupcakes, breads, and other tasty treats. The artisan section will showcase fine jewelry, pottery, pet supplies, face painting, soaps & lotions.